I don’t have many Japanese cars in my collection, but this one is one of my favorites. It’s a simple respray and wheels swap, but it’s exactly the image of what comes to mind when I think “2000GT”. A clean, tampo-less paint job in classic white with wire wheels. 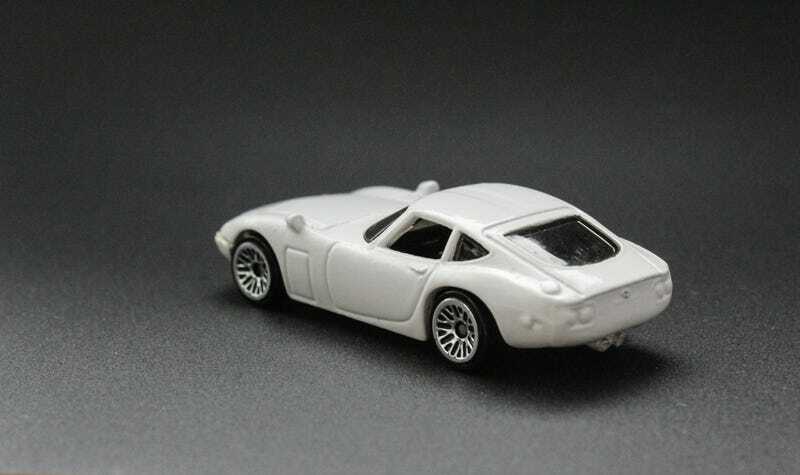 I’ve always thought Hot Wheels should have done a release like this It belongs in a similar class like the DB5; a casting that’s always had clean, elegant paint and wheels with every release. I know I’ve posted this one on here before, but I haven’t shot it with my DSLR yet. Instead of the plain white paper in my lightbox, I went with sand paper to help let the paint stand out. Have a good car week!